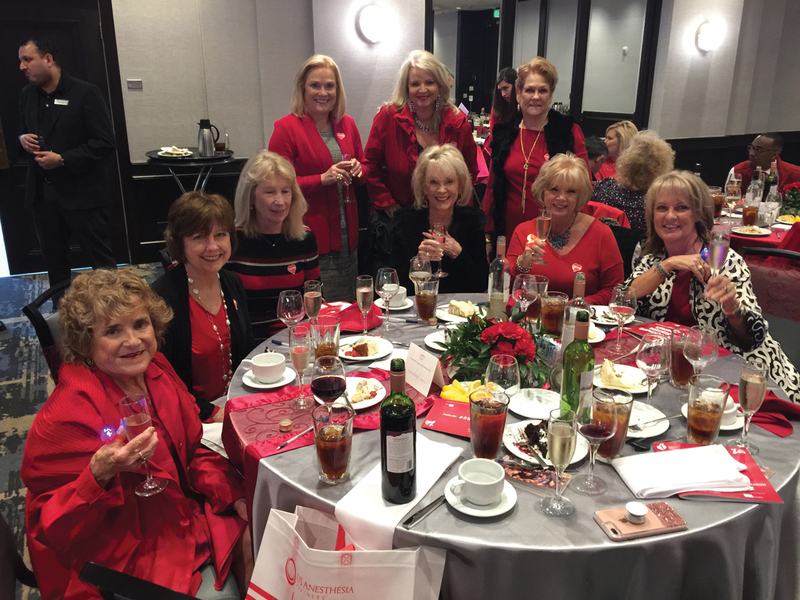 These ladies make a pretty picture as they enjoy the American Heart Association’s Go Red for Women Luncheon at South Shore Harbour Resort in League City. 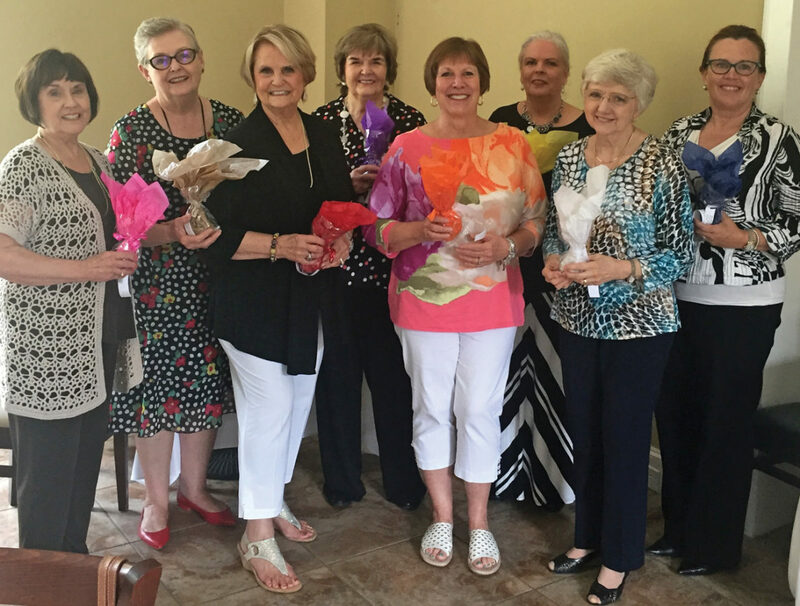 They are, from left, standing, Becky Reitz, Jill Reason, Anita Fogtman; seated, Marcy Fryday, Marsha Taylor, Julie Osburn, Mary Ellen Arledge, Sandra Sellers and Shelley Rogers Scoggin. IT TOOK A LOT of people forming a sea of red, but the American Heart Association coffers are bulging with some $225,000 raised at the 2019 Go Red for Women Luncheon. And, what fun it was seeing all the fancy dresses the ladies arrived in and bright red ties the guys wore. Co-Chairmen Jim and Jane Sweeney couldn’t stop smiling as they mingled with the arriving crowd, as did members of their Leadership team – Tama Brantley McEwen, Sarah Ferguson, Gloria Greene, Santiago Mendoza Jr., Theressa Riggs and Darcy Whatley.All could hardly wait to see the fruits of their work over the previous months. Likewise for the Event Committee Chairmen Stephanie Rice, Sandy Adams and Laurie Dahse and their volunteers – James Blasczyk, Abbie Contreras, Brandy Gates, Hilary Hart, Kim Keen, Donna Orozco, Mandy Pistone, Teresa Provis, Kelli Reddinger, Elizabeth Quigley, Darcy Santala and Meloney Bean, who also spoke to the audience about surviving heart problems after the luncheon emcee, KPRC Ch. 2’s Jonathan Martinez, welcomed everyone. 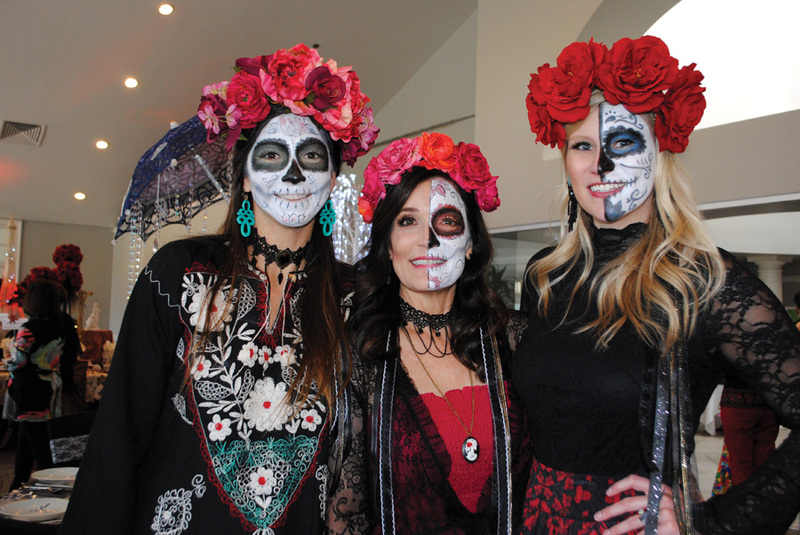 Five victims of heart disease, Victoria De La Garza, Kelli Reddinger, Aubrey Allensworth, Carol Firmin and Sarah Weinman, shared their stories of survival for those attending. 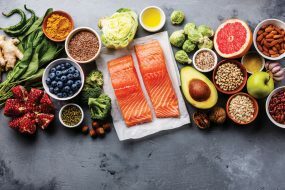 Sarah, for example, explained how she had won the battle with ovarian cancer only to find that the aggressive chemotherapy regimen had resulted in congestive heart failure. After a 10-year fight, she finally received a heart transplant in April 2018 and is doing well today and looking forward to the future. 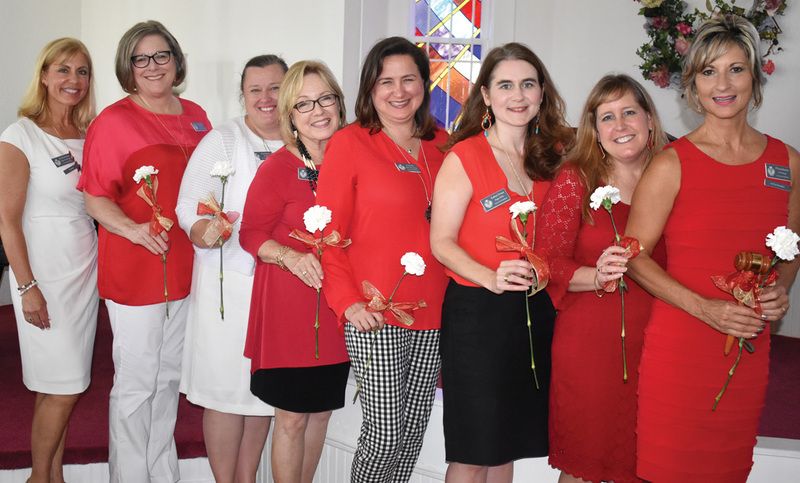 Much to the delight of the donors known as Circle of Red members — Audra Bentley, Melaney Bean, Sherri Beisley, Tama Brandley McEwen, Kristie Brown, Laurie Dahse, Emmeline Dodd, Brandy Gates, Karen Keesler, Jane McFaddin, Darcy Santala, Dr. Amber Shamburger, Marilyn Sims, Jill Williams and Darcy Whatley and the Men Go Red members – Earl Armstrong, Brent Cockerham, Lance Dahse, Brad Gerke, Stephen K. Jones Jr., Dr. Monte Orahood, David Smith and Jim Sweeney. State Sen. Larry Taylor was named the 2019 Iconic Heart Ambassador, winning over Dr. Bill Fisher, CPA Tom Richards and Dr. Selvin Sudhakar. But the most memorable moment came when Jim and Jane Sweeney took the audience on a ride with them around town via video, singing, making up poems and in general just having a great time as the crowd cheered them on. Just ask Jill Reason, Marcy Fryday, Becky Reitz, Marsha Taylor, Anita Fogtman, Julie Osburn, Sandra Sellers, Mary Ellen Arledge and Shelley Rogers Scoggin, Dawn Jackson, Jennifer Meekins, Robyn Weigelt, Sumer Dene, Rick Clapp, Amber Sample, Matthew and Angie Weinman or Congressman Randy Weber and his wife, Brenda. Most can hardly wait until next year. ASTRONAUT Jeffrey Williams was the speaker for the Bay Area Museum Guild’s monthly meeting at the museum, which was filled with members and their friends who wanted to hear about his space travels. 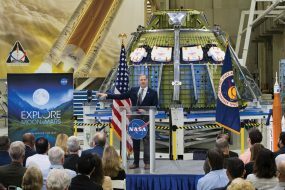 Colonel Williams, a retired Army officer, is a veteran of four space missions, and for some time held the American record for the most time spent in space, which was surpassed by his fellow astronaut, Peggy Whitson, in 2017. Guild President Ava Galt, who came with her husband, Taylor Lake Village City Councilman Tony Galt, joined Vice Presidents Louise Russell and Gail Devensin welcoming Colonel Williams and his wife, Ann Marie, and showing them around the museum. He also got to share his book, The Work of His Hands, A View of God’s Creation from Space, with the crowd, which included Mary and Dr. Terry Williams, Gib and Jan Larson, Sandi Allbritton, the vice presidents’ husbands, John Russell and Don Devens, Dave Kuenneke and son David Jr., Recording Secretary Lois Costinand her husband, Neldon, and Mary Ann Shallberg. Looking around, you also might have spotted Taylor Lake Village Mayor Pro-tem Einar Goerland and his wife, Linda; Leo and Rose Marie Symmank, Julie Hayes, Cindy Pinson, David and Kandy Johnson, Judith and Michelle Scheuring, Lorie Duval, Roberta Liston, Barry and Betsy Poor, Jackie Myers, Marie Sumner, Ron Lohec, Ric Taylor, Kathy Herman, Gayle Nelson, Cathy Lee and Judy Staliwe. 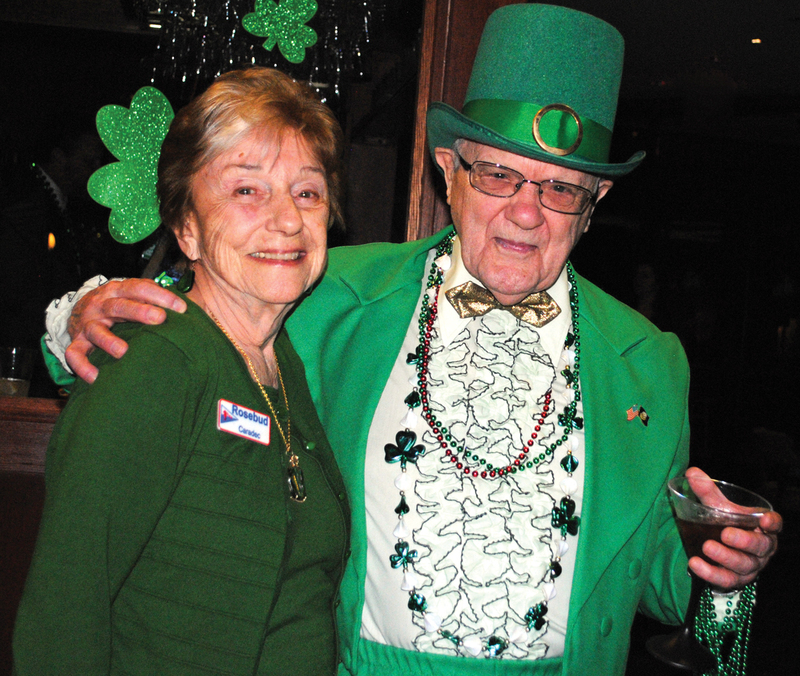 The night would not be complete without a photo of Rosebud Caradec and CPA Tom Richards, dressed up as a leprechaun for the St. Patrick’s Day Party at Lakewood Yacht Club. ONE OF THE Bay Area’s liveliest St. Patrick’s Day parties no doubt was the one at Lakewood Yacht Club in Seabrook, where most everyone was Irish – at least for the night. There was Irish music and Irish tap dancers to go with a variety of good Irish meals such as corned beef and cabbage – all of which added up to quite a lively evening. Popular CPA Tom Richards came dressed as a leprechaun, and everyone wanted a selfie with him – so many in fact, one would have thought he was George Clooney. Among those who were successful were Lou and Alice Marinos and Jim and Ann O’Malley,who earlier had joined Earl and Barbara Phillips, Barbara’s mother and Mary Alys Cherry for dinner; Jim and Jane Sweeney and Rosebud Caradec. 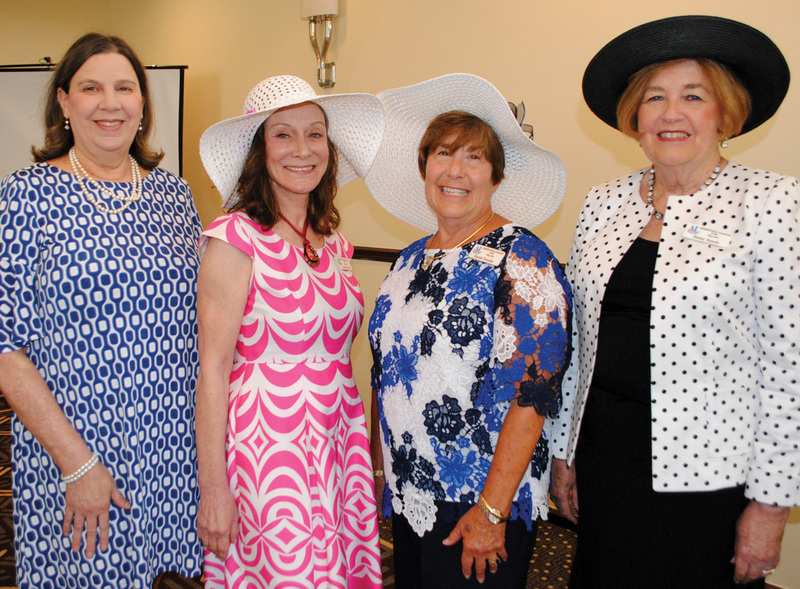 Assistance League officers for 2018 line up for their installation at the luncheon at South Shore Harbour Country Club. 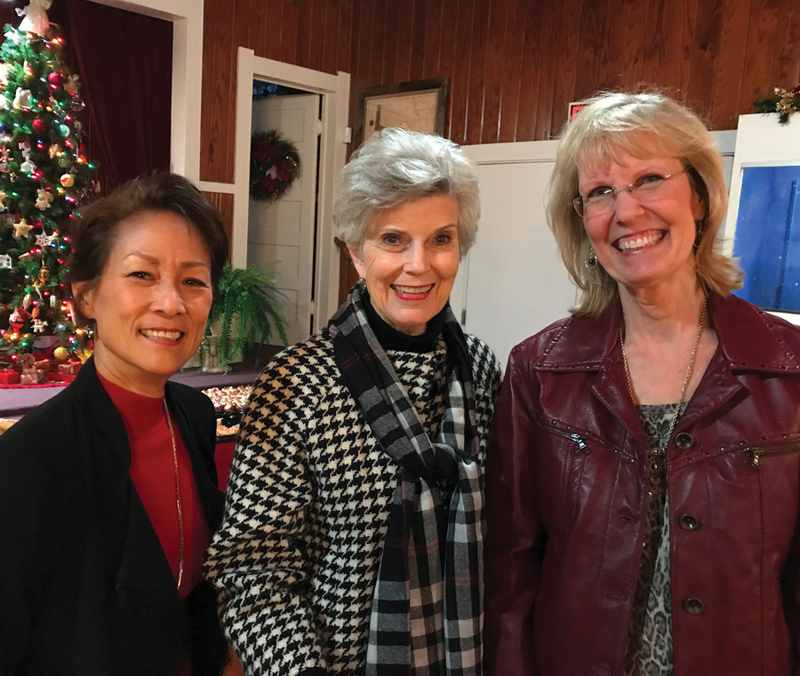 They are, from left, Assisteens Coordinator Valerie Piercy, Treasurer Sandra Kelver, President Sarah Foulds and Secretary Betty Stoub. President-elect Lisa Holbrook was unable to attend. 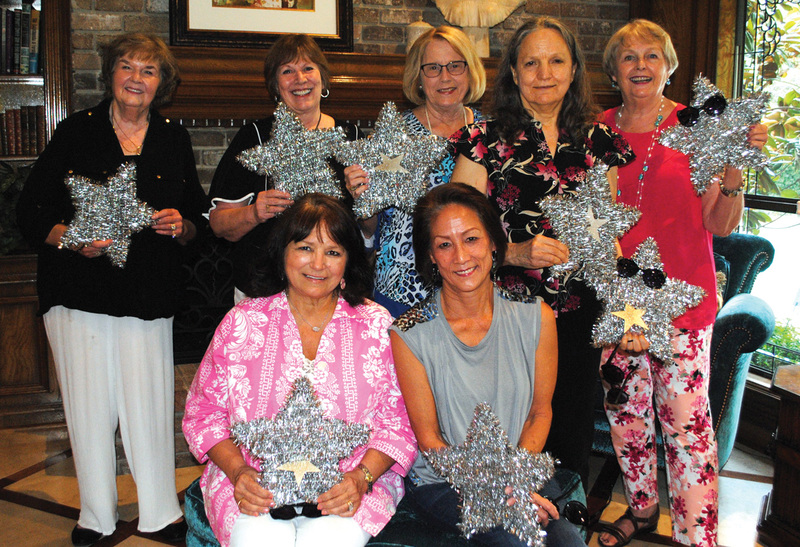 ASSISTANCE LEAGUE members gathered at South Shore Harbour Country Club this year for their annual meeting, which includes the installation of officers and presentation of awards to their hard-working members. And, after many long hours of service to the Bay Area community, outgoing President Ann Marie Doolin installed new President Sarah Foulds and the other new officers who will lead the organization as it celebrates its 30th anniversary. Other new officers include President-elect Lisa Holbrook, Treasurer Sandra Kelver, Secretary Betty Stoub, Vice Presidents Karen Douglas, Brooks Cima, Kim Barker and Cathy Wolfe, Marketing Chairman Sharon Klumb, Strategic Planning Chairman Marie Keener, Education Chairman Mavis Irvan and Assisteens Coordinator Valerie Piercy. The year-end luncheon is also a time to honor some of the hardest working members. 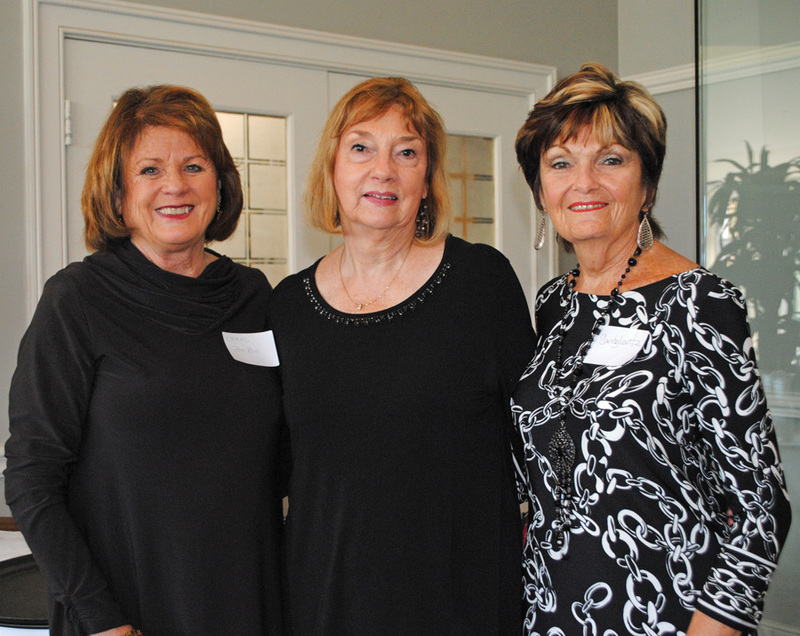 Winner of the Sue Brady Award was Kathleen Courville with Marie Keener presented the Sue Holstein Award and Yvonne Perrin, Mary Pergande and Betty Suagee winners of the ABCD Award. Merrill Crawford was named recipient of the H.O.P.E. Award, the Paul Mitchell Academy won the Glass Slipper Award and Sandra Sellers received the Ada Edwards Laughlin Award. 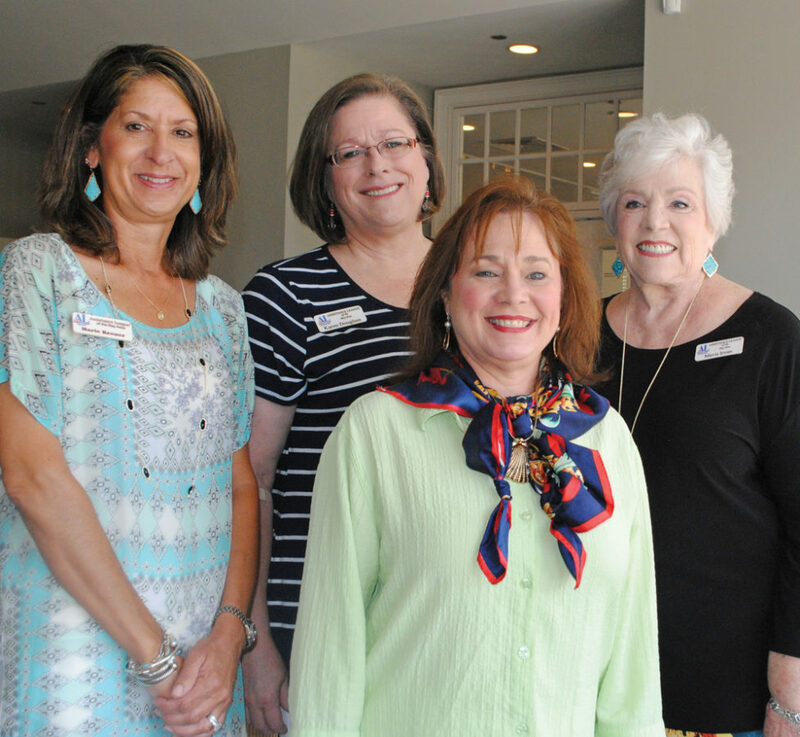 D’LISA JOHNSTON is the new president of Clear Lake Area Panhellenic, which held its year-end luncheon at Bay Area Museum in Clear Lake Park. Others elected to serve with her include First Vice President Cheryl Williams, Second Vice President Kathryn Vernau, Third Vice President Greta Mae, Secretary Darla McKitrick, Treasurer Kim Barker, Corporation Karen Douglass and Parliamentarian Michelle Richardson. Also, Sally Jordan was honored with the Citation Award. But the announcement of the scholarship winners got the biggest smiles from the recipients. Jacy Murdock, Karissa Murdock, Madeleine Pomes and Amie Le were the lucky winners of $8,000 college scholarships. 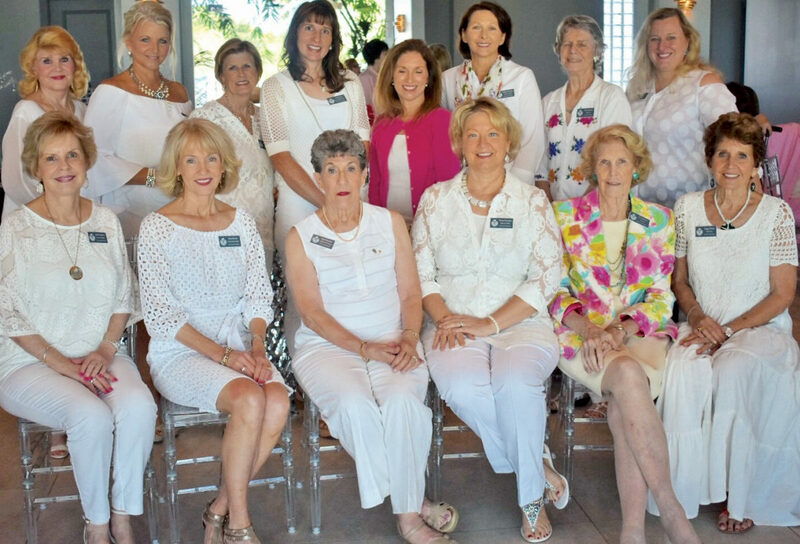 Bay Area Museum Guild officers get together for a photo after being installed at their May luncheon at the home of Carole Murphy. 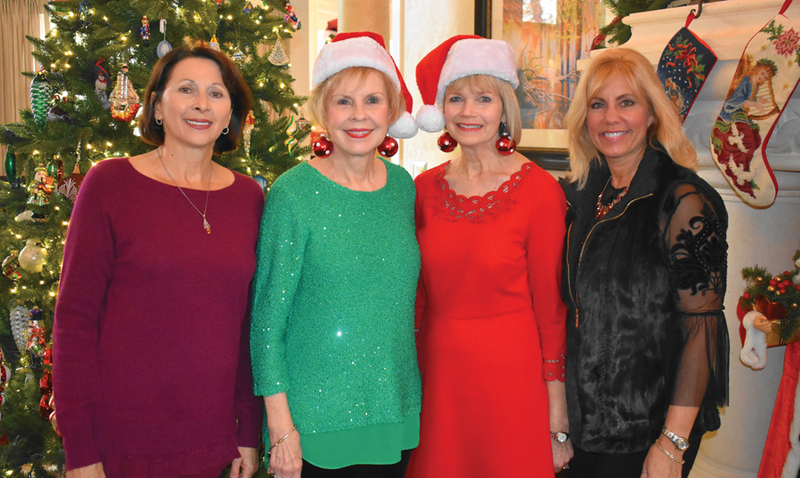 They are, from left, standing, Co-President Carole Murphy, First Vice Presidents Louise Russell and Gail Devens, Recording Secretary Lois Costin and Corresponding Secretary Sally Jordan; seated, Parliamentarian Kandy Johnson and Co-President Ava Galt. Brandie Corrao and Diana Dornak were unable to attend. BAY AREA Museum Guild members who re-elected Co-Presidents Ava Galt and Carole Murphy to serve another term gathered for their installation at the Guild’s May luncheon at Carole’s lovely Brook Forest home. 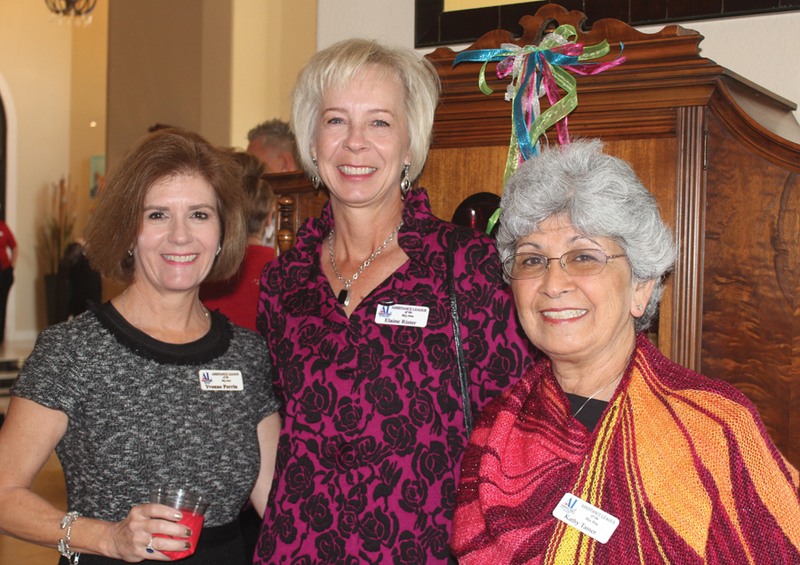 Others in the luncheon crowd you might have spotted included Cindy Kuenneke, Sandi Allbritton, Barb Spencer, Nina McGlashan, Jan Larson, Donnie Johnson, Angie Weinman, Pat Biddle, Elizabeth Quigley, Terri Monnett and Peggy Clause. 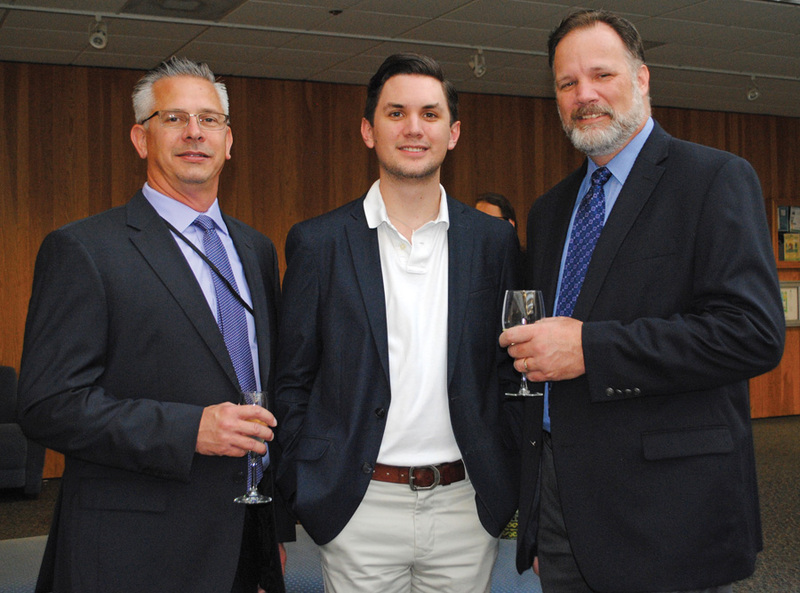 EDUCATION is growing all around the Bay Area, Clear Lake Area Chamber members learned at their June luncheon. More students and more buildings. Speakers were Dr. Greg Smith, superintendent of the Clear Creek School District, Dr. Laurel Williamson, deputy chancellor and president of San Jacinto College; and Dr. Mark Shermis, UHCL dean of education – each of whom have new buildings going up. Clear Creek ISD, Dr. Smith said, is currently rebuilding League City Elementary and completing construction of a new school, Florence Campbell Elementary, also in League City, with money from the $487 million bond passed in 2017. Work on both should be completed next year. And, while building, they are working to improve school safety. That’s the good news. But he also had some not-so-good news: Along with thousands of families in recovery mode, the school district is still feeling the effects of Harvey, “with more than $19 million in damages to our facilities, and we have not received reimbursements yet on those damages.With little or no funding. . .from the Legislature, we are facing a significant budget deficit for the 2018-19 school year” and are hopeful the district can negotiate a tax swap with the school board to keep operating at optimal level. Over at San Jacinto College, which was recently named a Top Five Community College nationally by the Aspen Institute for Community College Excellence, three new buildings are going up and some nine older buildings are being renovated with money from its recent $425 million bond package, Dr. Williamson told the chamber crowd at the Nassau Bay Hilton. The Center for Industrial Technology, which focuses on welding, pipefitting, diesel, electrical technology, plus heating, air conditioning and refrigeration, opened on the North Campus in March 2017, she said, while the Center for Petrochemical, Energy and Technology on the Central Campus and the Center for Engineering and Technology on the South Campus are both expected to open next spring. And, for many local industries that have jobs to fill and the 42,000 students San Jac serves annually, the sooner, the better. Dr. Shermis also had some good news for the crowd. The UHCL College of Education dean said the new Science, Technology, Engineering and Mathematics (STEM) and Classroom Building was opening this fall and the university is working with Clear Creek ISD on STEM classes at both the university and the school district. The 121,575-square-foot building, being built at a cost of $65.7 million is one of two under construction on the Clear Lake campus. UHCL also is building a new $38.2 million Recreation and Wellness Center that will serve as the home for the Exercise and Health Sciences program and Fitness and Human Performance program, as well as a host of general instruction classrooms and recreational activities for students, faculty and staff. A new $24 million Health Sciences and Classroom Building is also expected to open in the spring on UHCL’s Pearland campus, Dr. Shermis said. Chamber Chairman Bryan Bogle welcomed the crowd and introduced special guests and Dr. Peter Wuenschel, chamber Education Division chairman, provided the invocation. 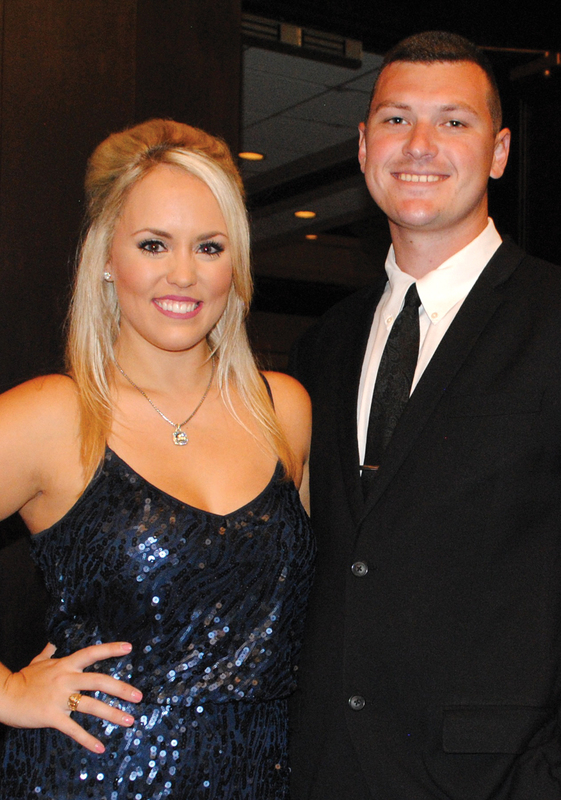 Kelsey Richardson, CCEF events manager, and her fiancé, Matthew McNeil enjoy the Glitz and Glamour Gala at South Shore Harbour Resort. 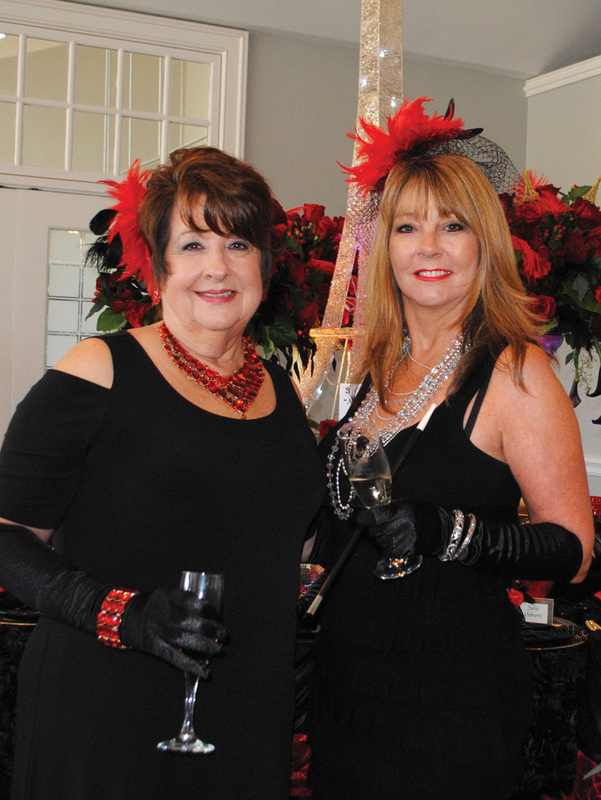 THE CLEAR CREEK Education Foundation celebrated its 25th anniversary in grand style honoring a dozen outstanding individuals at its Glitz and Glamour Gala and Awards Presentation Nov. 4 in South Shore Harbour Resort’s Crystal Ballroom. Honorees introduced to the black-tie crowd of 350+ included Citizen of the Year Trent Martin, Distinguished Alumni Air Force Capt. Christin Hart, Connie Davis Fuller and Michael Janney; and Superstar Award honorees Kevin and Ruth Rendon Duke, Gary Mossman, Diana Matthews, Magali Gutierrez and Lauren Jehli. Retired CCISD Superintendent Dr. Ron McLeod won the George Carlisle Award with Navy Capt. Scott Hartman the recipient of the Valor Award and South Shore Grill Owner Mickey Wooten receiving the Dennis Johnson Small Business Award. The gala, chaired by Jill Reason, who came with her husband, Dan, featured many top Clear Creek ISD faces including Superintendent Dr. Greg Smith, Deputy Superintendent Dr. Steven Ebell, Assistant Superintendent Scott Bockhart, Communications Director Elaina Polsen, Clear Lake High Principal Karen Engle, Clear Springs Principal Gail Love and CCISD Trustees Chris Read, Laura DuPont, Ann Hammond and Board President Page Rander. Elected officials you might have spotted included State Sen. Larry Taylor, State Reps. Dennis Paul and Dr. Greg Bonnen, Harris County Attorney Vince Ryan, Mayors Mark Denman of Nassau Bay and Julie Masters of Dickinson, Mayor Pro-tem Todd Kinzey and Councilman Keith Gross of League City and Councailman Jonathan Amdur, Bryce Klug and Don Matter of Nassau Bay – many with their spouses. Mingling with the crowd, you might have bumped into CCEF Executive Director Kaci Hanson and her husband, Harris; CCEF Events Director Kelsey Richardson and her fiancé, Matthew McNeil; Brian and Erica Freedman, Pat and Wendell Wilson, Jason Bailey, Elizabeth Wang, Kippy Caraway, Susan and Shawn Bailey, Roy and Donna Montabano, Patty Cooper, Richard and Traci Dvorak and Joe and Dinah Matthews. Others spotted enjoying the evening were Hayden and Jonathan Cottrell, Gene Hollier and Emmeline Dodd, Darrel and Fay Picard, Greg and Teresa Vensil, Badiha Nassar, Martha Bowles and Scott Rainey, Alberto and Eva deCardenas, Ron and Julie Masters, Nancy and Jerry Smith, Jennifer and Leon Coe, and attorney Joe Barlow and his wife, Jeanette. Plus, Jim and Carol Saxe, Dr. Glenn and Sarah Freedman, Debbie and Dr. Peter Wuenschel, Chris Premont, Jamieson and Laura Mackey, Joe and Kelly Byrd, Greg and Pam Ploss, Margaret and Danny Snooks, Rachel and Carlos Villagomez, Gary and Elaine Renola and Leslie and Walt Huff. 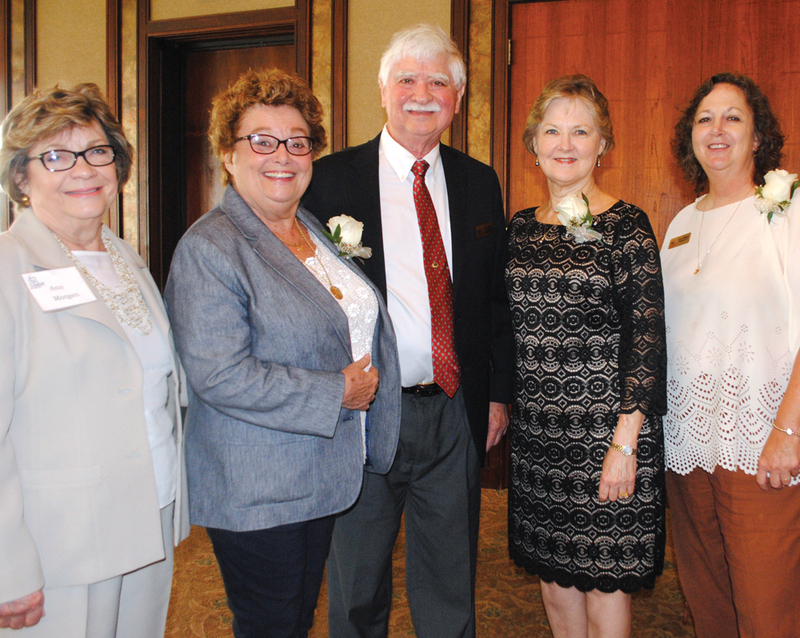 Meet the 2017 Super Star Award winners – community leaders, from left, Dinah Matthews, Kevin and Ruth Rendon Duke and Gary Mossman plus CCISD Teachers of the Year Magali Gutierrez and Lauren Jehli, who were honored at the Nov. 4 Clear Creek Education Foundation Glitz and Glamour Gala at South Shore Harbour Resort. Photos by Mary Alys Cherry and Jill Reason. 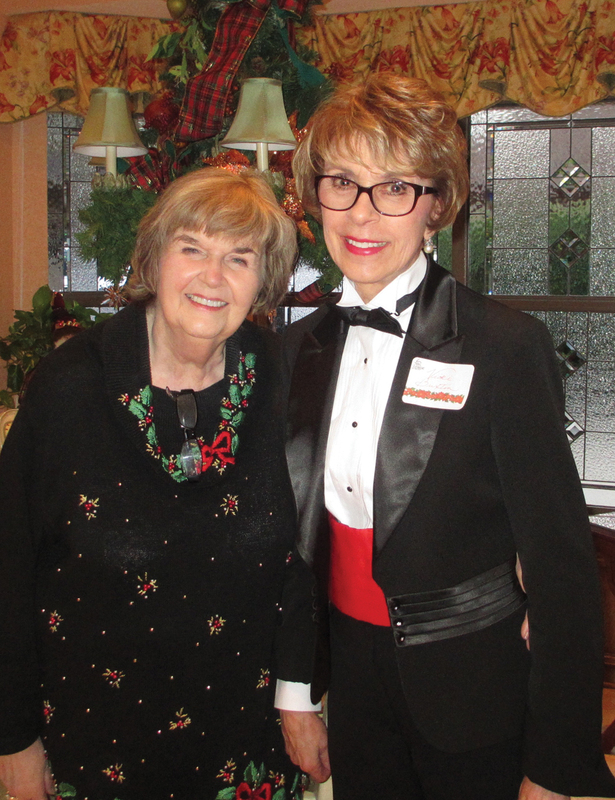 EACH YEAR, two of our long-time organizations – the Bay Area Museum Guild and Houston Symphony League Bay Area — come together in the fall for an enjoyable evening together called Music at the Museum. This year was no exception with dozens gathering at the historic museum in Clear Lake Park for what one called “nothing short of fabulous.” The evening, chaired by Vicki Buxton and Carole Murphy, was filled with cheers, laughter and applause for the upbeat, popular music and humor of the entertainers, plus oohs and aahs over the exceptional food and wine.